Owning a home is a goal that many strive to achieve in their lifetime. While owning a home is rewarding and a symbol of success in our culture, many do not realize the amount of work it takes to keep a home in good condition. Besides the typical cleaning of the interior and the upkeep of the exterior, there are other tasks that need to be performed regularly to prevent damage to your home. One of these tasks is taking care of your roof. From time to time it is important to have your roof inspected or cleaned. This will ensure the longevity of the roof and will prevent you from having to deal with emergency repairs during a storm or holiday. Whether you want to do it yourself, or hire roof cleaning services to do it for you, cleaning your roof every so often is a smart idea. Better curb appeal. Cleaning your roof can make a big difference in the way your home looks to others from the side of the street. Not to mention that cleaning the dark spots, also known as magma, off of the house is a great way to clean up the look of the home. Not only will your neighbors enjoy the improved appearance but so will you. If you are trying to sell your home, washing your roof can be a small investment for a large reward. Sellers will take notice if your roof is stained or appears to be dirty so it is well worth your time and money to clean the roof if you are serious about selling. 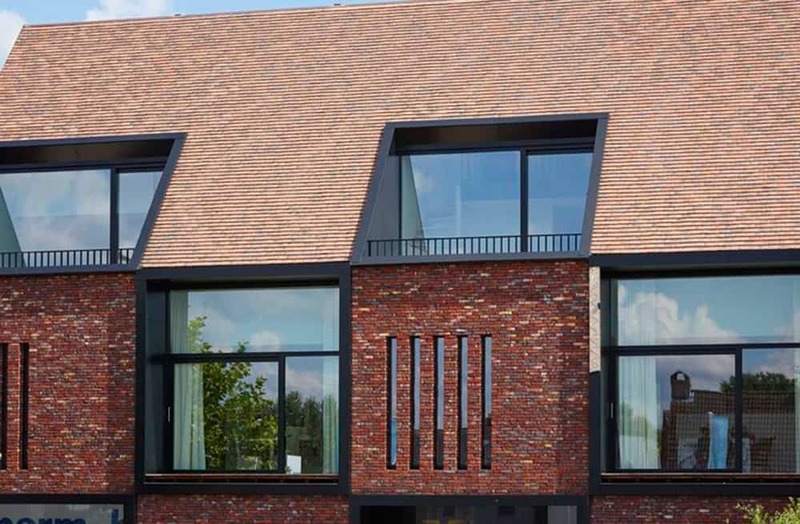 Improve life term of your roof. 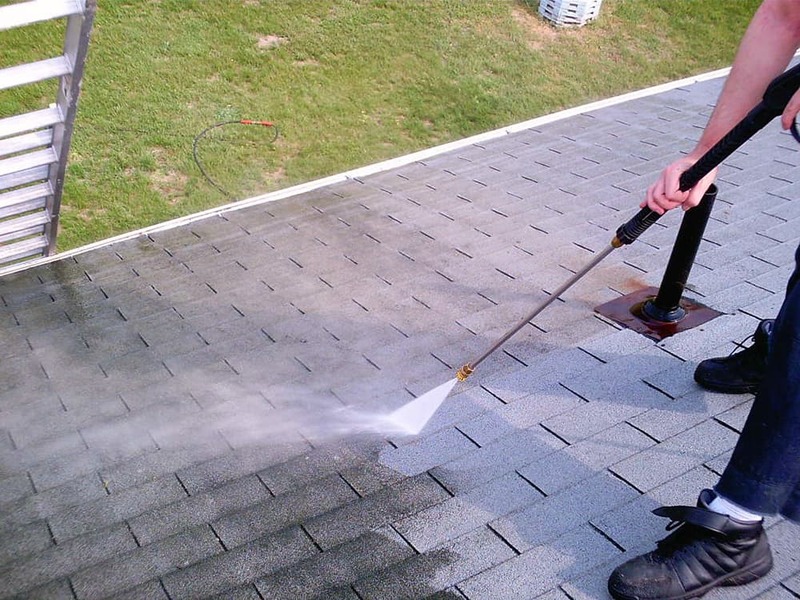 Believe it or not, cleaning your roof can make it last much longer. Not to mention if you have a warranty on your roof, it likely states that it is important to clean the roof every so often to keep the wear and tear down. While it may seem that cleaning your roof is costly, it is a small investment compared to having to replace it all together. Maintain value of the home. Washing your roof will help the shingles stay in tact and will prevent your roof from wood rot. This will help maintain the value of your home as a solid roof in good condition is a coveted trait in a home. Healthy benefits. The black stains on your roof is most likely more than just dirt. Your roof could be breeding algae, mold, and moss. Believe it or not, your roof is acting as a breeding ground because algae, moss, and other things are feeding off of your shingles. It is not surprise then that shingles can weaken and need to be replaced. Not to mention, if the substances eat through the shingles, it will cause wood rot in your roof. Wood rot can be bad as it can cause your family to be exposed to health risks. Wood rot is a great breeding ground for mold to grow which can cause serious problems for your family members and pets. Cleaning your roof can get rid of these pesky problems and keep your shingles alive for much longer. Not to mention, your family will live a healthier life free of allergies and potential asthma attacks caused by mold. Decrease in utility costs. Algae, moss, and other items can cause your roof to heat up in the summer which can increase utility costs if your home then heats up as well. I remember my grandparents had an old California Mission style house with a flat roof. If you didn’t get up there and check out the drains at least once a season, the flat roof turned into a lake until it finally broke through with a leak on the ceiling. It only happened once in my time, but it wasn’t cheap and was a royal pain to get it repaired because they had to re-tar the entire roof, not just patch the one section. The separate garage was the same way and prone to even more issues, perhaps because the pad or the building itself wasn’t level. Hey, the house was built in 1908, it wasn’t perfect but I loved it. I had to giggle though when I first saw your title. I currently live downstairs in a condo and would love to pressure wash my upstairs neighbor that we have nicknamed, Godzilla, right off of my roof at times. I agree, its massively important to keep your roof clean and in good order, it adds to the appearance and value of your home.